US Vice President Joe Biden said that Israel will be getting a shipment of the United States’ new F-35 fighter jet so that its military can retain its “qualitative edge” in the Middle East. Biden made the announcement in Washington, DC while giving a speech during a celebration of Israel’s Independence Day, Reuters reported. The relationship between Israel and the US has been strained over the past few years due to disagreements about Jewish settlements in Palestinian territories and Iran’s nuclear program, but the two nations continue to maintain strong military ties. "Next year we will deliver to Israel the F-35 Joint Strike Fighter, our finest, making Israel the only country in the Middle East to have this fifth-generation aircraft,” Biden said. According to Haaretz, the deal involves Israel purchasing 14 F-35 jets for $110 million each. That is in addition to a previous agreement in 2010 that saw Israel agree to buy 19 jets. The first two planes are set to arrive in Israel in 2016, with the others making their way into the country by 2021. 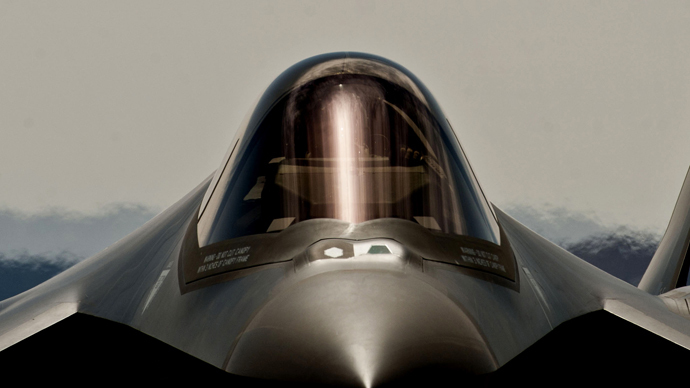 While the US has invested a lot of time and money into the high-tech, high-powered F-35, questions remain about its effectiveness. The trillion-dollar program has suffered numerous setbacks over the years and issues continue to crop up. “We have taken steps in the last two years to change fundamentally the way we develop ALIS, but it takes time to realize those results,” Bogdan said, though he added that the software is not a central part of the plane. A smaller version is being developed that should be ready in July. Before that, news reports stated that a computer glitch kept the aircraft’s four-barreled rotary cannon from firing, potentially delaying the jet from being fully operational until 2019. Last year, the vice president of the Super Hornet and Growler programs at Boeing – a rival of Lockheed Martin, which manufactures the F-35 – questioned the stealth capabilities of the jet, arguing that it’s not as effective against Chinese and Russian air defense systems as other aircraft are.